In 2004, we sailed from Channel Islands harbor to Puerto Vallarta, Mexico and spent several months in PV readying the boat for future travels and really getting to know Mexico and learning the language and customs of Latin American. A total distance sailed of about 1150 nautical miles. Of course it is never the distance covered but the journey itself that is the beauty of sailing. We like to sail for a day or two and then stop for many days in where ever we drop the anchor. Every bay, cove, up the river or estuary requires an intense inspection of the people and beautiful lands. 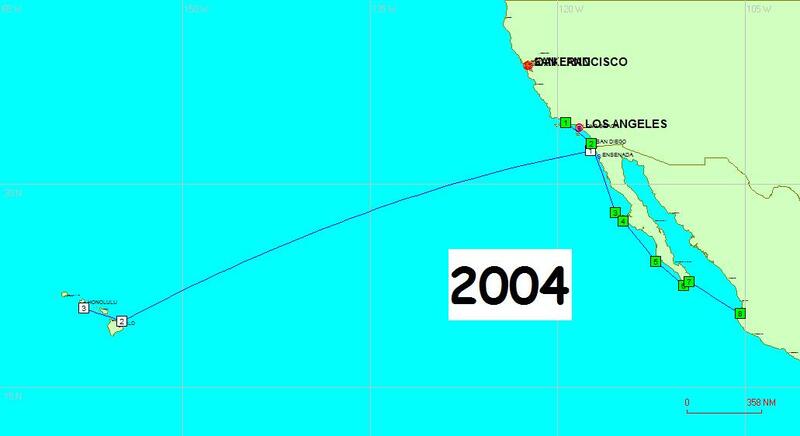 In 2005, we did not move far from Puerto Vallarta as the boat still wanted more work completed before she was ready to travel without parts breaking. We had to return to PV to continue with repairs and upgrades. As a result we did not move on until November 1st. 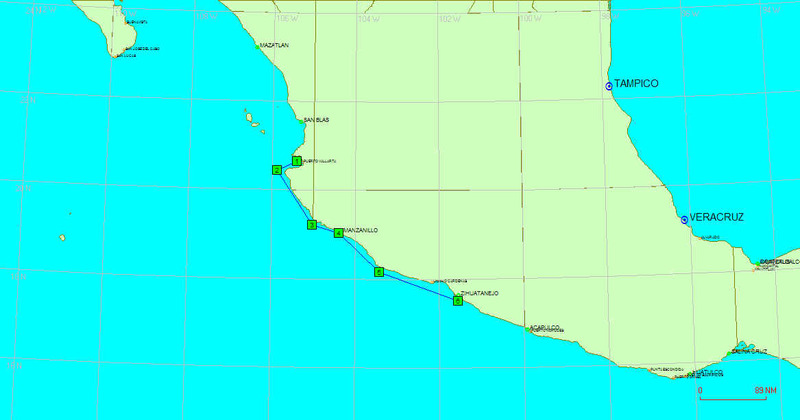 We covered a total distance of about 350 nautical miles. In 2006, we were on the move and more seasoned than ever. The boat is doing well. We quickly learned in person how to haul anchor in 45-50 knot winds and ride out squalls and dense rain storms like they are child's play but never do we take the ocean for granted - not for one second. 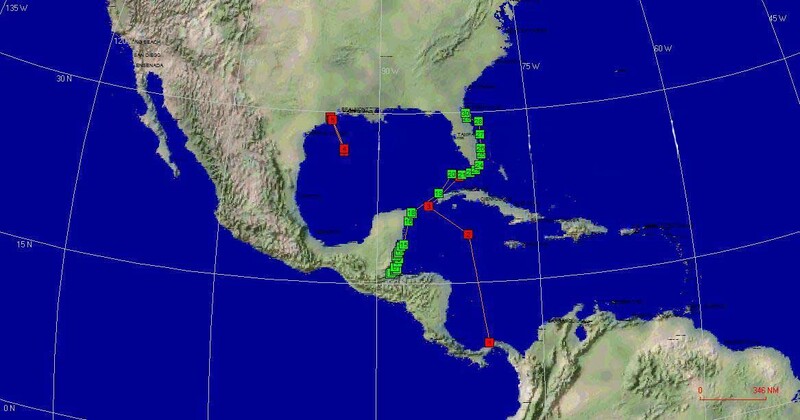 We traveled about 2200 nautical miles (2530 statue miles) in 2006 and visited six counties throughout Central America and Mexico. Transited the Panama Canal (three times for Ron) and began sailing in the Caribbean Sea. 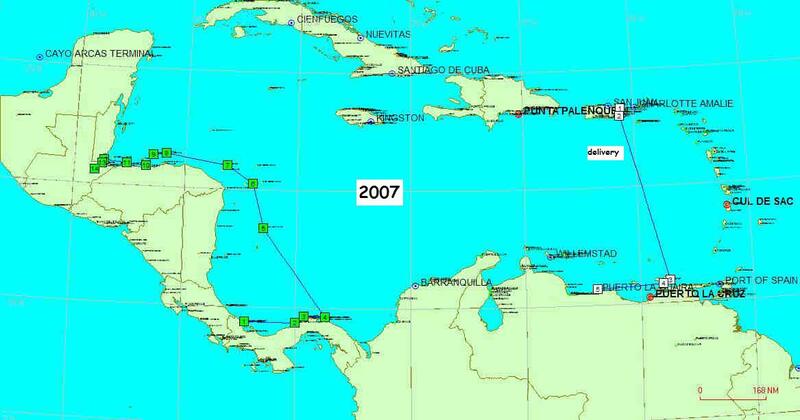 In 2007, our total distance as of July 1st, is a whole 1750 nm all in the Caribbean Sea. A quick 750 nm delivery adds to this total. For 2008, meant returning to the US for the first time in four years. Together we sailed 1230 nm from Guatemala to Florida. I will have sailed over 4000 nm with three deliveries as of June. So for information that has little value other than in staring at numbers, Ron has over 17,500 miles at sea on sailboats and Yen has over 15,000 miles on open oceans and on sailboats.